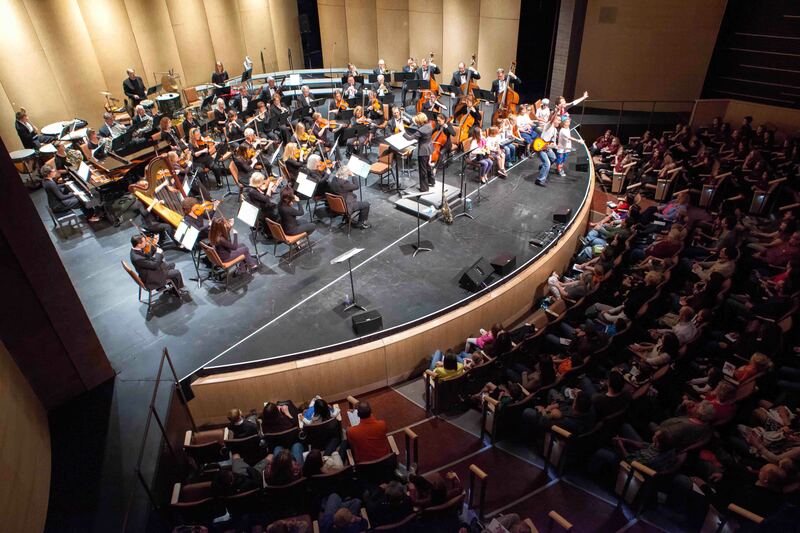 Composer, teacher and performer Doctor Noize teams up with orchestras large and small to interactively inspire kids and newcomers to explore the worlds of classical music and the symphony in the hippest way imaginable. The symphony concerts we performed with Doctor Noize were spectacular! I have never seen kids respond with so much enthusiasm to a classical music concert. He's fun, funny and irreverent. His gift for inspiring kids is unparalleled. Award-winning composer, teacher and performer Doctor Noize graduated with Distinction and Honors in Music at Stanford University, but don’t let that fool you — his Symphony Shows are crazy, interactive fun. Audiences will walk in knowing very little about classical music, but walk out thinking anyone who doesn’t dig classical music is not cool. “I had tears in my eyes when you asked a thousand kids if they wanted to hear Beethoven’s Fifth, and they screamed yes like it was a rock show,” said the trumpet player of one orchestra. Two programs are offered: Phineas McBoof Crashes the Symphony offers a storyline and scores from the acclaimed recording of the same name. It teaches the close connection between modern pop song structure and sonata form through Beethoven’s Fifth, and features a mezzo-soprano comic villain diva trying to destroy the concert. Doctor Noize Goes Bananas! finds the orchestra taking Doctor Noize on a tour of the music history periods. We follow one of the Doc’s musical themes through music history, explore masterpieces of each period, and decide that the future of orchestral music is gonna be crazy awesome. Orchestral music is the most adventurous and colorful music in the world. Kids and newcomers are the most adventurous and colorful audience in the world, because their minds are not yet made up. As young fine arts audiences in the digital age are increasingly elusive, it’s imperative that those of us who want to preserve the art form we love design and perform symphony shows that specifically appeal to new audiences.